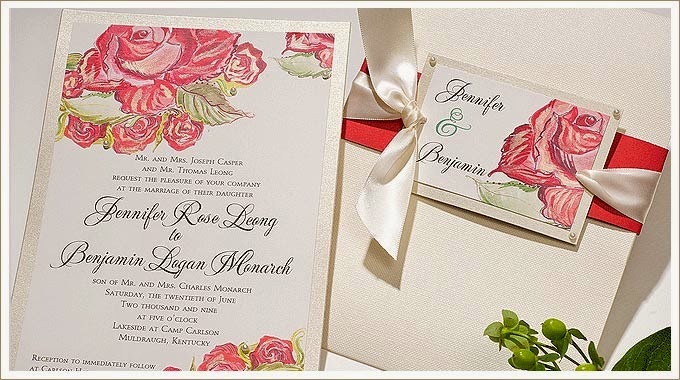 Rose wedding invitations are the epitome of romantic wedding stationery. Roses are often associated with romanticism. Red roses are often given on valentine's day to show your love and affection for your partner. 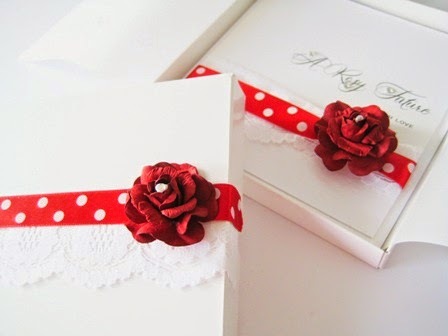 Red roses are the most popular colour choice to decorate wedding stationery. However, yellow, pink and white flowers sometimes make an appearance. If you choose red I recommend using a cream or ivory card for the basis of the design. For yellow, white or pink a white coloured board is recommended. To compliment the design further use subtle hints of foil to accentuate the design. Gold foil compliments red and pink roses, whereas silver foil works well with yellow and white. 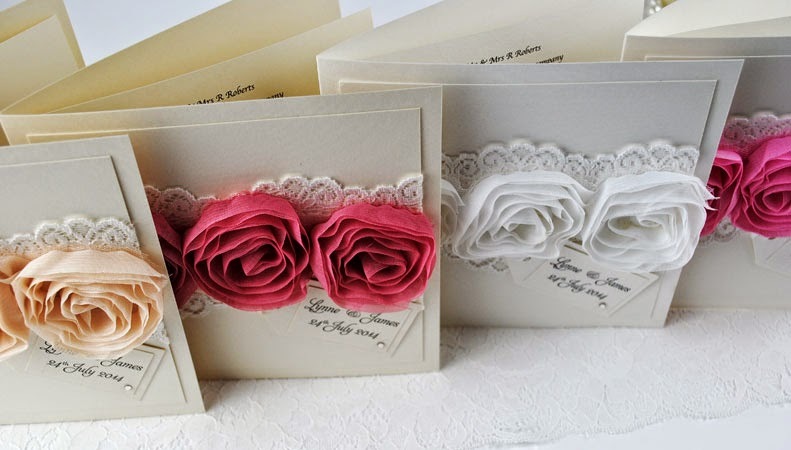 How the flowers decorate the card depends on the style of card you choose. 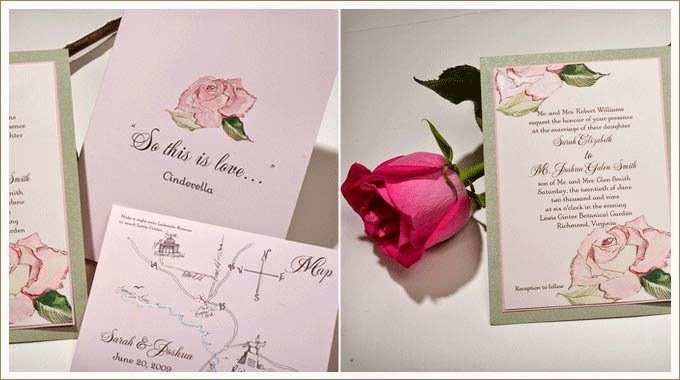 Some flat postcard styles use petal confetti to decorate the wedding invite. Some designs use interlocking flowers or a bunch of roses. For a 3D effect, paper or satin flowers can be used on the design. If you want to make the invitations yourself, why not create a heart shape pattern using several paper or satin flowers? First draw a heart on your wedding invitations. Then glue 3D roses to this outline, you can leave it there or if you want, continue until the entire heart is filled. Or, if you want to keep things simple, just use one single flower on the front of the design. This can add a surprising impact to the wedding card and create an elegant feel to your wedding stationery. To complete the wedding theme you may want to decorate your reception tables with vases of roses. Scatter petals across the tables and maybe give rose scented candles as wedding favours.